Applying is fast and easy! Please enter the member's name: How are you related (i.e., Spouse, Parent, Child, Sibling...)? I am, or related to: a student, staff/ faculty of the Alexandria City Public Schools in Alexandria, VA.
Tell us how you qualify? Savings in a Credit Union are called "shares", and your regular share account is the basic membership savings at CommonWealth One. Opening a savings account at CommonWealth One is simple. All you need is a minimum deposit of just $5.00. Lock in our best yields and get the return you want with a Share Certificate, which offers you great rates and flexible savings terms. Share Certificates earn a higher percentage rate over a traditional savings account and offer automatic renewal options. This basic account allows you to save money with NO monthly fees and NO minimum balance requirements. You can visit our locations anytime to use our ATMs and conduct your transactions at NO charge. It's always nice to get a second chance when you need a fresh start. Take control of your finances with CommonWealth One's Second Chance Checking account, and eliminate the high costs of using a check-cashing company. If you have $10,000 or more to invest, our Money Management Plus Account is a great option. Plus, you'll earn even better rates when you maintain an average daily balance of $10,000 or more. Earning higher dividend rates is one of the advantages of a Money Management Account when you maintain a $2,500 average daily balance. No Overdraft Protection.Overdraft Protection Plan. 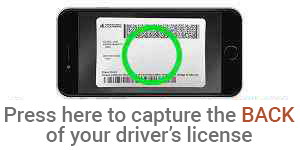 To speed up the application process, please take a picture of the BACK of your United States driver’s license. This will prepopulate your name and address information directly to your application. If you do not wish to use this feature simply click the “Done” button, to proceed.